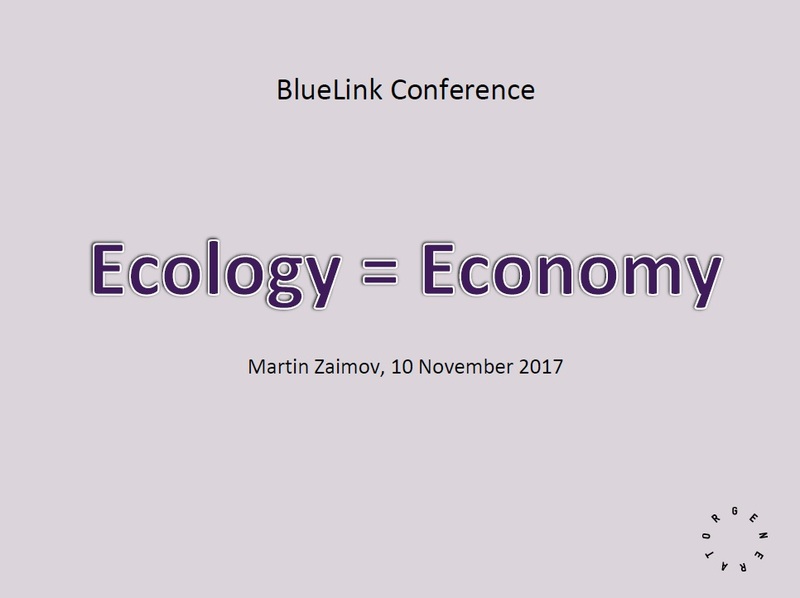 "Ecology = Economy" by Martin Zaimov was presented during the "Eco-innovations for Green Economic Change and Shared Prosperity" conference on November 10, 2017 in Sofia, Bulgaria. The conference was organized within the regional project Re-Vision the Economy in the Balkans: Change Policy not Climate project implemented jointly by BlueLink Foundation, Bulgaria, Networked, Serbia, the Sunrise Association for Sustainable Social and Economic Development Sunrise, Macedonia and the Green European Foundation with the financial support of the European Parliament. All presentations and additional information about the event are available here.